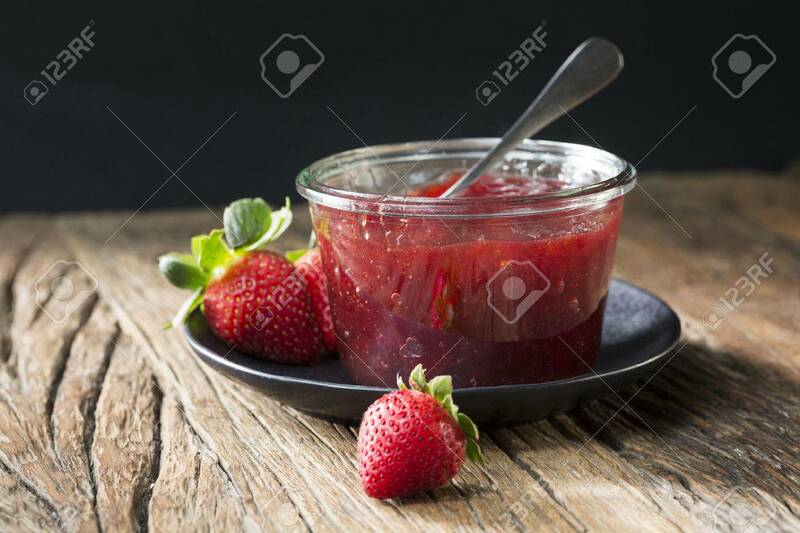 Freshly Made Strawberry Jam In A Glass Jar Sitting On A Rustic.. Stock Photo, Picture And Royalty Free Image. Image 54597653. Stock Photo - Freshly made Strawberry jam in a glass jar sitting on a rustic wooden table. Freshly made Strawberry jam in a glass jar sitting on a rustic wooden table.